After exploring the town of South Haven, we had worked up quite an appetite! It looked like everyone was heading toward Clementine’s, so that is the direction we took too! We were not disappointed! 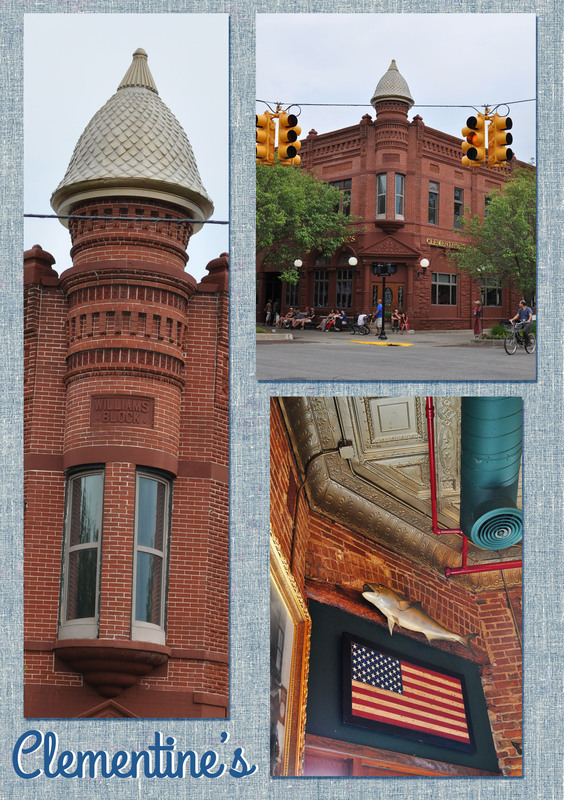 The atmosphere was fun (it was housed inside an old bank), the staff were friendly and the food was GREAT! 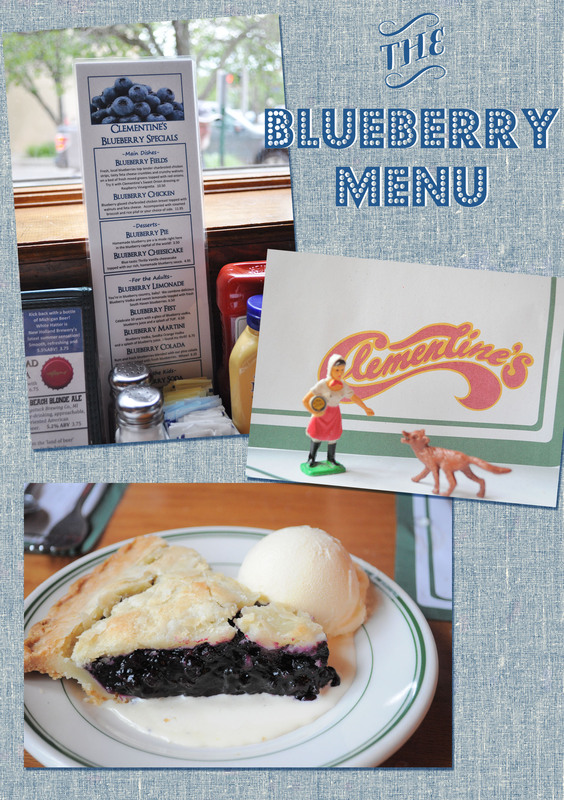 They even had a special blueberry menu for the Festival. My Mom and I split a piece of blueberry pie for dessert in honor of the festival. Gigi and Foxy were with us too. Foxy came out of my bag for a piece of pie, the blueberries turned his whiskers a lovely shade of deep blue, he spent the rest of the evening trying to lick it off, while we laughed, he looked quite charming with those blueberry whiskers! South Haven is an adorable town, I’m putting it on my list of places to visit again! Maybe, I’ll time it just right and there will be another Blueberry Festival! One can always hope! This entry was posted in Life and tagged August Break, Blueberry Festival, Clemetine's Restaurant, family, Goose Girl and Foxy, photography, South Haven, travel on August 21, 2013 by jennifermichie.